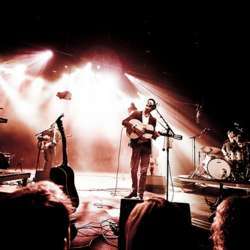 Indie Dreamy Rock - "The Bony King of Nowhere"
Come and join us for a fine concert by an up and coming Belgian indie star musician and his band. Expect a magical musical mix of folksey rock and richly textured ballads with fine lyrics (check out the sample playlist below), along with the usual great Internations company. Fans of THE TALLEST MAN ON EARTH, COHEN, DYLAN, TIM BUCKLEY, but also CROWDED HOUSE will all enjoy this one.